The results are in at the Spirit Young Performers Company and The Stage Scholarships 2018 have been awarded to eight lucky students. Billy Vale has been awarded a 40% scholarship to the Performers Company. 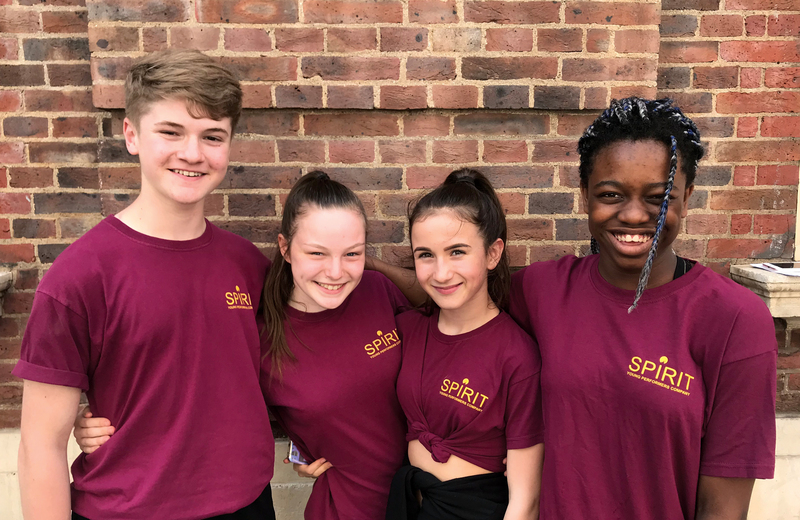 In the same section, which covers musical theatre and dance training, Daniel Wright has been awarded a 30% scholarship, while Hannah Hutchins, Layla Armstrong-Hughes and Imaan Guthrie have each been awarded a 20% scholarship. Of the Dance Company scholarships, three in total have been awarded – a 90% scholarship to Dominique Sands, a 40% scholarship to Lola Slavnich and a 10% award for Nadia Djilali. Spirit founder and company director Sophie Boyce has enthused about the response to the awards, resulting in a record number of offers. “The talent on display this year was overwhelming, with hundreds of applicants trying out and all demonstrating huge amounts of passion and ambition. From this year’s scholarship recipients we were looking for a clear hunger to thrive and succeed, as well as to work equally hard across all disciplines,” she said. Hannah, aged 13 from Bromley, Kent, is a passionate dancer and has been performing since she was six years old. Auditions are still tough, but she explains how the process at SYPC really managed to put her at ease. Layla Armstrong-Hughes from London also 13 years old explains how important the scholarship was from a financial perspective. Warwickshire resident Billy is 15 years old and travels to London each weekend for his training. “I feel extremely honoured and privileged to have been awarded it and it means a great deal to me. The journey is totally worth all of the time and effort because the training I receive is amazing,” he said. Dominique Sands, aged 15 from London, was awarded a major 90% scholarship for the dance company and has already attended SYPC for two years. For Boyce, it was a particularly strong audition period, filled with talented youngsters, all cheering and encouraging each other to do well. “The atmosphere was joyous and supportive from beginning to end and I hope – no matter what the outcome – that everybody learned something and enjoyed the experience,” she said.